Guess what custom I’ll be showcasing today? Diamond Select Toys’ Gotham series seems to have prematurely ended. Although disappointing, this was not unexpected. While various Bat-characters in civilian attire were novel in a sea of their costumed counterparts, regular people were guaranteed to pegwarm. With TRU no longer around to back its stripped down editions (which probably cut into sales of the specialty market deluxe editions) & the show ending next season, DST is unlikely to produce a farewell series. I can’t decide which final three characters I’d like most. Tabitha & a Valeska twin to paint into a proper Joker to spite WB would be a start. It becomes an If You Give a Moose a Muffin scenario since there are still so many toyetic characters left unmade. Its end is a pity since the show has been going full comic book in the wardrobe department for the past few seasons. If only they’d mixed the costumed crimesters in sooner! It was up to me to make Edward Nygma as The Riddler. Today’s custom comes courtesy Toys R Us liquidations sales. I’m a simple man. When I see a William Atherton action figure marked down to $8, I buy. Also I figured Walter Peck would provide a good suited body for Ed. (Alfred came this close to being decapitated!) I used the boil & pop method to swap Peck’s head & hands for Edward Nygma’s. It worked surprisingly well. 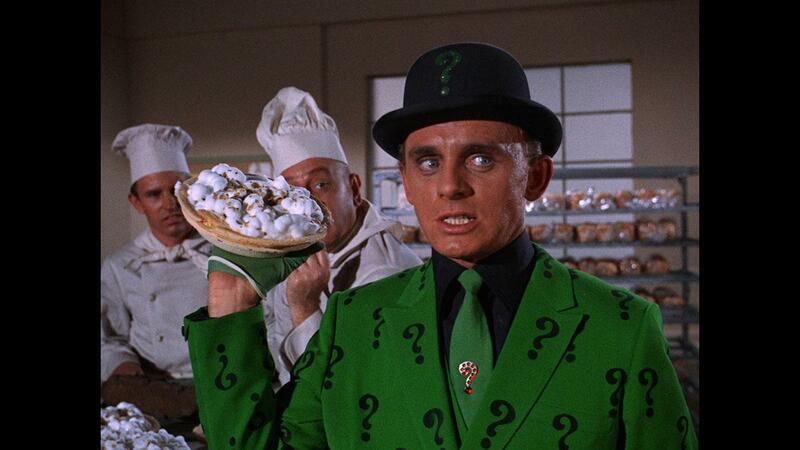 Peck’s blazer is open to reveal the vest underneath, so I went with The Riddler’s third season costume. It would’ve been harder to make his season four look since it’s double breasted. I did raise the lapels upward for more screen accuracy. It tends to look very different depending on the scene’s lighting, but it often has a sheen to it. Cory Michael Smith described the suit as bright sparkly green, so I went with metallic Christmas green paint. (One day I’ll make a custom that photographs easily. Today is not that day.) I left his hair alone even though he wore it differently during this season. This would’ve been finished much sooner if it wasn’t so tricksy to find a good base to make a derby from. Making tiny hats is hard! I spent one earth dollar on a chibi PVC Baymax to behead & turn into a hat. It took over an hour dremeling it into an approximation of a hat that fit Ed’s head. 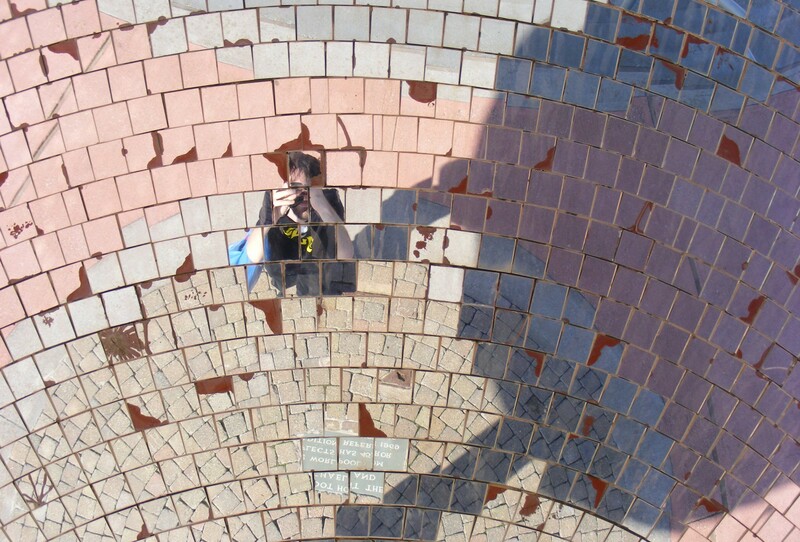 It still looked too large & homburg-like. I tried cutting it down to be more proportionate, but I just ended up ruining it. I ruined it like Syfy’s respectability after untimely cancelling The Expanse! (Good news: Amazon saved it! Bad news: I can’t afford Amazon Prime!) I wish I’d been able to salvage it to use as a top hat for Penguin. On to Plan B for bowler! Hat 2.0 was made from a domed piece of vinyl with a braided ring in the center left over from a model kit. The braid was excised & the remaining halves glued together. The seam was spackled over. The brim was cut from cardboard & the hatband from from paper. What even is my life? I have become a minuscule milliner! Now I can never go back to the way things were before! The gun is borrowed from The Spirit’s Sand Saref. It’s probably the wrong make but it fits his hand well. Now I need an another one for her. His definitely inaccurate sword is from the SG-1 Lieutenant Colonel Cameron Mitchell that I’ve just been calling John Crichton. The coffee mug came with the original Nygma because DST didn’t up its accessory game until the final assortment. Former EPA bureaucrat Walter Peck is now a science-man. He’s your favorite DC character, The Pharmacist! He should team up with Captain Planet. 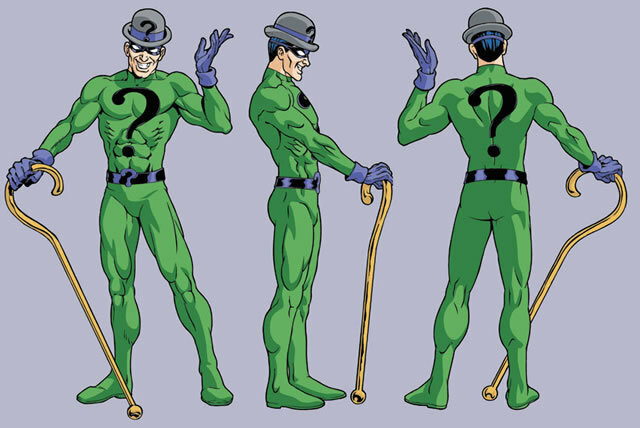 Riddler definitely needs to obtain a question mark cane for the final season of Gotham. A few question marks would spice up the suit too. I’m conflicted about his derby not matching his suit as it usually does since it has Frank Gorshin precedence. (It’s much better than that odd time when DC’s merchandising control art insisted it was light gray.) He definitely needs to say “Riddle me this!” I feel these probably have the best odds of happening from my long list of unreasonable demands. DST is biased against Nygmakins since they only made Dr. Thompkins in Minimate form. Morena Baccarin would like to play Catwoman. So far she’s had to settle for voicing Cheetah. I need to find a good body to transplant Barbara Kean’s noggin onto, although I’ve been told by fellow customizers that her Demon’s Head is tough to remove. (If I blog about Gotham without mentioning The Stabby Queen, did it even happen?) Out of all the possibilities, that Arkham Asylum dress was just the worst costume choice. (Although if the line had legs, the rogues in inmate attire would be good variants.) It makes me think of Bertha Rochester. “No Man’s Land” had a Game of Thrones vibe because Gotham is The Olympics of Bastardry, with Oswald Cobblepot a gold medalist. Speaking of which, I reviewed its fourth season finale last week. You may not have noticed because it didn’t have an SEO obvious title as I also critiqued the season finales for Riverdale, Arrow, Agents of SHIELD, & The Flash. It’s the length of three regular blogs! Murder-husband double date with Hannigram? Shouldn’t it be Hannigraham? HBO’s Watchmen TV series is really about Oklahoma! cops, so it’s actually bastardizing the beloved legacy of Cop Rock! Damon “snubbed at The Razzies for Prometheus” Lindelof’s letter of intent will probably better the fool’s errand itself. I still don’t understand what they’re trying to achieve. Will any of Before Watchmen or Doomsday Clock be incorporated? I didn’t see Solo because it looks disrespectful to Mario Van Peebles. James Mangold, director of Logan, is taking over the Boba Fett solo film from Josh Trank. Will it bring back the fork-rifle? This has caused a rift between fans that want more non-caucasian leads & those who want more female protagonists. They could’ve united those factions by making a Sabine Wren movie instead. Jake Gyllenhaal wears the classic Mysterio costume complete with fishbowl helmet in Spider-Man: Prom or GTFO! Spread this like a contagion!